57 players remain and the bubble is on the horizon in Barcelona. Most of the household names that were in control at the start of day 2 have fallen by the wayside and the likes of Johny Chan, Patrik Antonius, Daniel Negreanu, Greg Raymer and Thomas Wahlroos are left to find a cash game somewhere. The Brits are few in number but going very strong. Javed Abrahams and Ian Woodley are right behind the chip leaders and Michael Greco is just behind them. Scottish APAT champion Philip Starrs is also proving he can bridge the gap between Amateur and Professional, sitting just on the right side of the bubble. But the one to watch is clearly Mark Teltscher from London. He hasn't stopped accumulating chips since the start of day 1a and remains pretty much unmoved with 300,000 chips, just a few behind overall chip leader Mohammed Kowssarie. 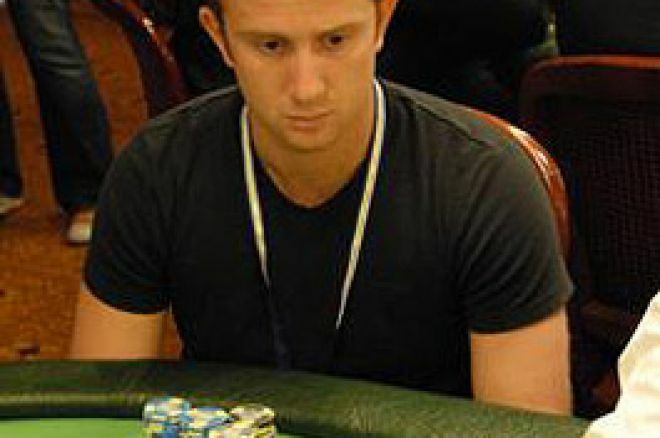 Teltscher is no stranger to these events having won the 2nd EPT London event in 2005. Other notable players still in the mix include Katja Thater, Mark Vos, Bjorn Erik Glenne and internet pro Pete 'The Beat' Giordano. Play resumes later on today with the action right on the pay bubble. A whopping €1.1 million is sat waiting for this years champion and by the end of the day we will have a much clearer picture of who might be taking it down. Every chip count, bust out and bad beat is going to be brought to you as it happens from our groundbreaking EPT Live Updates, we look forward to seeing you there. Ed Note: Sign up to William Hill Poker and receive a first time cash bonus.